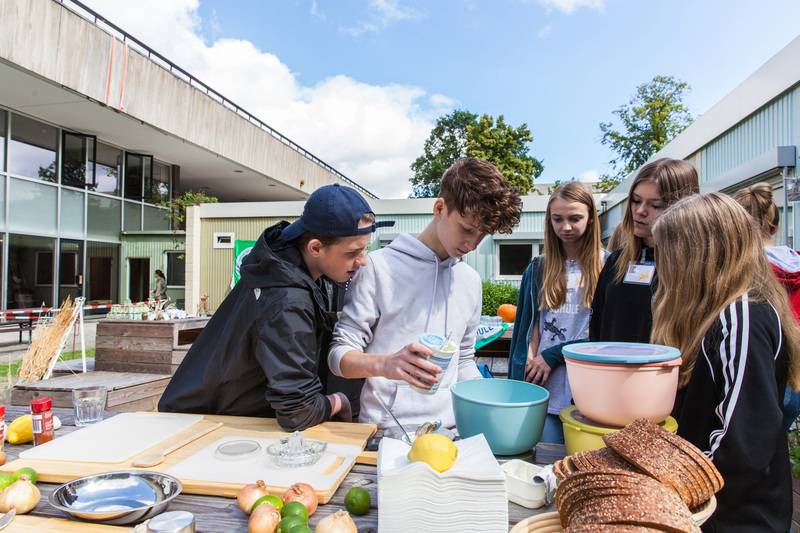 A school garden, a vivarium, or a farm are analog learning spaces which at the Hagenbeck-Schule already provide an immediate experience of nature. Together with the garden and landscape architects from Spok, 7th grade students developed and constructed a fireplace with seating arrangement in order to extend the learning environment to the outside area. How can the analog be meaningfully embedded in the curriculum in the digital age? And how is it also possible to establish a connection to nature within an urban space—in the curriculum and the everyday routine? In answer to these questions students developed a fireplace using natural stone in the kitchen garden. It serves as a meeting place for lessons in nature. As an open gathering point, including for extra-curricular activities, it is used to prepare roasted breadsticks and soup over the open fire —thus turning the school into a place for social exchange. As an integrated secondary school, the Hagenbeck-Schule in the Pankow district of Berlin places its focus on the natural sciences. “Biological diversity” is the school’s leitmotif.